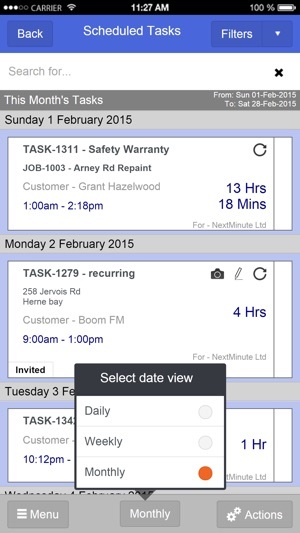 Replace your paper-based work processes with our simple and easy to use tablet or phone app. Connect from anywhere on your mobile device or desktop. 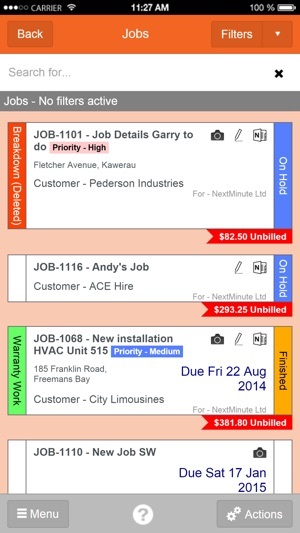 Create, assign, cost, quote and invoice jobs for your business in real time...NextMinute, that job is done! NextMinute is perfect for any service oriented business that has a mobile workforce, which performs project work and/or ad-hoc service work that needs to be planned, scheduled, monitored and billed. 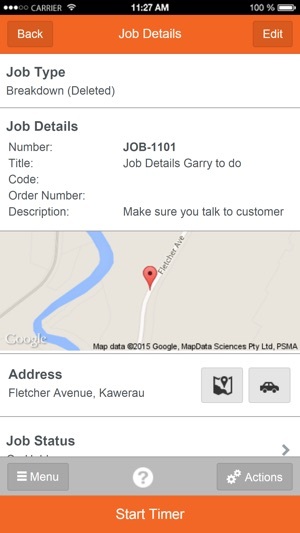 Set permissions to control how staff, contractors or other groups of people work with you. NextMinute is very easy to use, requires little training and is flexible enough to work the way you want to. NextMinute can be used by large businesses with multiple branches right down to sole traders that just want to manage and bill jobs in the field. Your entire business can be run from your phone, no need to connect via your desktop. Co-ordinators can see who's doing what, where and when using the ultra fast desktop app or even the mobile app. - Various fixed and improvements. 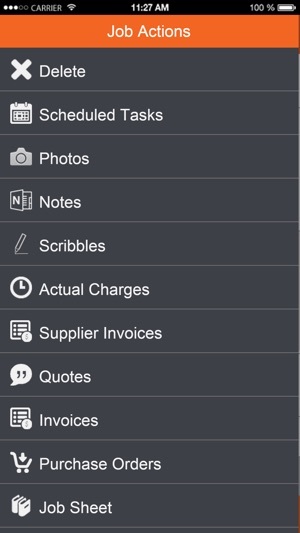 Great app, use it daily in our business for quoting, ordering and job costing. Easy to use and straight forward to implement. I highly recommend it. Finally, a time management app done correctly! This app by all means is exceptional and is far better than GeoOps app which was hard to use and lacked fundamental features that Nextminute has. This is a great app and I highly recommend it over any other time management software out there! Thanks!! !